Well I've kinda calmed down a bit since my good news - I just now have the tough decision of choosing a single PTI stamp set as my prize! Oh decisions, decisions, should I go for a background set? (I'm loving those polka dots!) or a set with cool images? (I'm loving Bird Watching) or a set with gorgeous sentiments? (Just as in Friends 'til the End) Well if you have any suggestions on sets you love or just couldn't live without then let me know! Anyways enough of the slushfest and onto today's card...now I don't want you to run from me when I post this little card - it's totally not my style but I wanted to challenge myself and try something new. I just thought it looked kinda interesting to try so I had a go and made a card to celebrate the new (and safe!) arrival of my nephew Charlie: Please don't click that cross button - I can explain!!! "That's a gorgeous colour combo Aunty Amy!" " Oh Aunty Amy I just love how pleasing to the eye that is, you've balanced the colours so well!" LOL! I think the only thing 'me' about this card is the grey - I love how it works with the blue, so pretty! Oh and the hearts on the pram sparkle thanks to my little Copic Spica Pen - though again my photography has failed to show how much it sparkles IRL! Well I'm now off to see Charlie for myself for the first time - don't worry though I won't be getting broody! I don't have time for myself sometimes let alone kids, I dunno how all you mums out there do it - I truly admire it! 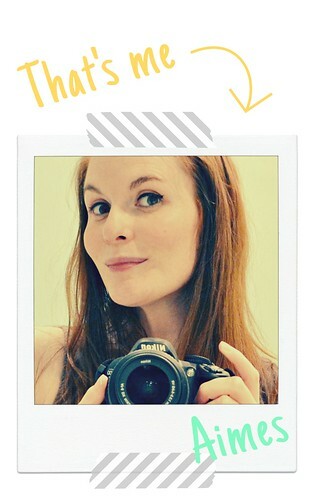 Aimes...you're sooo sweet & funny...I love your baby card! But if you can't have a bit of fun with yer craftin - when can you have fun! Going back to your win with On my couch - absolutely no surprise there - that is one of the most original cards I've EVER seen - I just showed it to DS1 and his mate and they agreed - very cool! 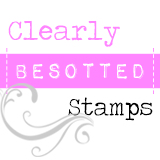 I want to know which stamp set you pick - I know how exciting this is for you!! So a big well done again on that win - fantastic and well deserved! Have a great time meeting your nephew!! I'm sure his big bros and sis will love the card! This is super cute.. love your take on the sketch. What an adorable card!!! thanks for playing along this week! I'd still be excited if i were you, what a great card Aimes for baby charlie. Firstly, I've not been online for a few days and obviously missed your amazing news (although I kinda expected you would win as it was so bloomin' original!) But congratulations all the same, I couldn't get over how quickly you changed the subject...I would have gone on and on and on about it, you're far too modest!. I think this baby card is sweet, why not throw caution to the wind occaionally and just play around with things, that's the fun of it. i got the polka dots recently and they're fabulous, i'd pick those! Is there no style you can't put your hand to? You make it seem all too effortless!! Definitely a departure from your usual style Aimes but it works! Can see where you're coming from in terms of who you're designing the card to be from. It can be difficult to create something that 'fits' not only the recipient but the recipient's recipient! Can't wait to find out which set you go for, at least you know that whatever you pick will be a good 'un! Amy, congratulations! But I do have to say it twice, right? Love to see you filling in for the fabulous Steph on the European "A Passion for Papertrey"-blog and of course you deserved to win on PTI! PS: I'd go for the Bird Watching set, love anything using our feathered friends! Love this little card, and congrats on your arrival at Passion for PApertrey.